Time for the Holiday Exchange Again. Hi readers, it’s that time of year again where we start to think of the holiday season. We like to do an annual holiday exchange over at the forum. We will be doing a felt card or postcard. It doesn’t matter what you celebrate you can participate. Maybe you don’t celebrate anything , you can still participate. 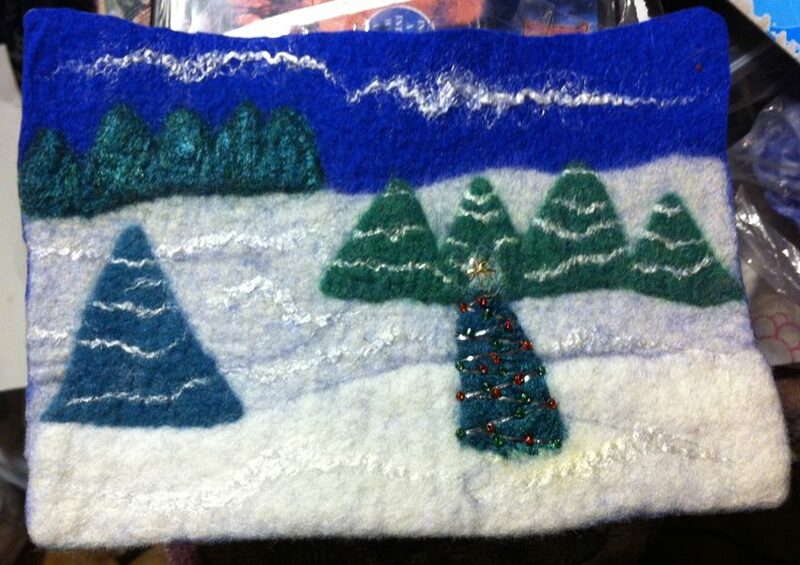 The idea is to have some fun and exchange with a fellow felt lover. On November 5 you will be given your partners name. You contact each other through the private messaging system on the forum to exchange addresses. You have until November 30 to work on your card and then mail it on or before Dec 1 so that it will arrive at your partners before the holidays start. 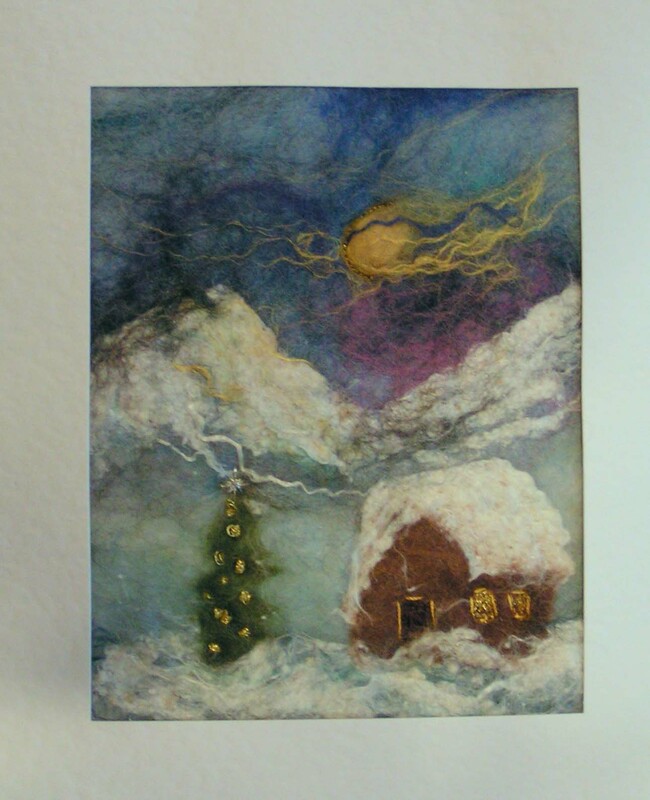 This entry was posted in Design, Inspiration, Needle Felting, Nuno Felting, Uncategorized, Wet Felting and tagged felt card, Holiday exchange. Bookmark the permalink. 10 Responses to Time for the Holiday Exchange Again. Thanks Ann for letting everyone know about the holiday exchange. I am looking forward to participating, it’s always such fun. 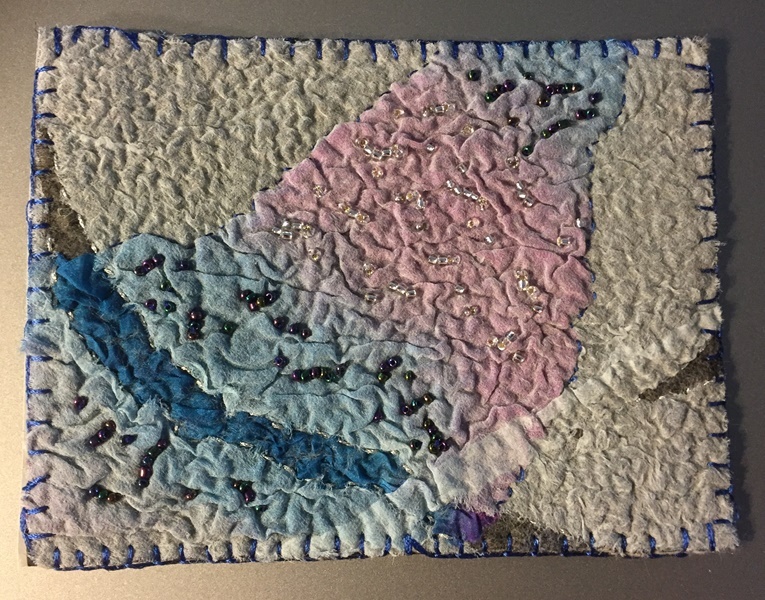 Your welcome Ruth, I love seeing what everyone makes and waiting to see what I get. It’s a first for me, but count me in please. I,ve tried to find pictures of what has been done before by following the links above. All I could find were members opting into the exchanges, sadly no pix! Where am I going wrong? Hi, Antje. when you follow the link it takes you to the first page of the thread. Try popping to the last page and then work your way backwards to see what people received. There should be a list of the pages at teh top of the first post. Did you find the place to sign up this year?